Preservation and maintenance are key factors in fighting off time, which brings with it changes in our skin texture, radiance and elasticity. When considering skin rejuvenation in an effort to regain or maintain your youthful appearance, our plastic surgeon, Dr. Christine Petti, understands your desires and is prepared to help you achieve the healthy, radiant skin you deserve. She remains on the cutting-edge of technology and continues to enhance the services available to her patients with the addition of the latest advancements in laser skin rejuvenation. By combining equal parts of aesthetics and inner peace, Dr. Petti is able to address each of her patient’s specific needs by providing multi-dimensional skin rejuvenation. The 2D Skin Rejuvenation process is a combination of LimeLight Facial Photogenesis and Laser Genesis, which is an excellent option for treating a variety of aesthetic skin concerns, including brown spots, irritation, textural surface changes, and enlarged pores. By adding the Titan™ laser system, Dr. Petti is able to offer another dimension to her approach, thus creating 3D skin rejuvenation by increasing the skin’s natural collagen production, decreasing surface wrinkles, and evening skin tones. As the Medical Director of Palos Verdes Plastic Surgery Medical Center, Dr. Petti is renowned for her excellence in delivering cosmetic and skin rejuvenating procedures with the deft skills of a plastic surgeon combined with compassion and understanding of your specific needs. The LimeLight Facial is the new, non-invasive 2D skin rejuvenation technique used by Dr. Petti, which improves skin tone and surface imperfections associated with aging and photo-damage. Through a customized treatment plan, Dr. Petti can adjust the LimeLight Facial to treat your specific needs for any part of your face or neck. The treatment typically lasts less than an hour depending on the areas of the body to be treated, and does not usually require anesthesia or pain medication. Dr. Petti recommends three sessions of LimeLight Facial treatments for optimal results; however, additional treatments may be necessary depending on the extent of the damage. Following the procedure, brown spots and redness may darken, but will begin to dissipate with improved skin tone and texture appearing within one to three weeks. Laser Genesis Skin Therapy is a non-invasive laser, with no downtime, that can be used on all skin types to treat fine lines, wrinkles, large pores, uneven skin texture, and redness or scars. Because the Laser Genesis system is designed with safety and discretion in mind, you can expect to see results after each treatment without unwanted side effects such as bruising or excessive skin irritation. The skin therapy system can be used to treat skin on the face, neck and hands as well as other areas of the body. Laser Genesis can also be used to lessen the appearance of scars. The Laser Genesis system works by gently heating the layer of skin well below the surface to stimulate collagen growth and reduce redness in dilated capillaries. Typical procedures do not require the use of topical anesthetics or gels before the treatment; however, some slight skin irritation and redness is a common side effect that disappears within a few hours. While every patient’s condition and needs vary, Dr. Petti typically recommends five to six Laser Genesis treatments to achieve optimal results, which can restore skin’s youthful glow and reduce the signs of aging, while diminishing slight imperfections and leaving behind a healthy complexion. Titan™ is the latest advancement in overall cosmetic skin fitness. It is a no downtime treatment, using infrared light to heat the skin and collagen deep within the dermis, the Titan skin tightening procedure causes the collagen in the targeted areas to contract and thicken, while further promoting new collagen growth. In combination with her delicate touch, Dr. Petti employs the Titan™ delivery system wand to simultaneously cool the surface of the skin to increase your comfort throughout the procedure. The Titan™ technology can create improvements in your skin after only one session, but multiple, a minimum of three treatments may be recommended depending on the individual patient. Once the skin begins to heal and produce collagen as a result of the healing process, you will notice that your skin is firmer and tighter in the treated areas, providing a more youthful cosmetic aesthetic. Dr. Petti understands that every patient’s skin will age differently: some may develop redness, age or sun spots, some may be affected by fine lines and wrinkles, and some may see large pores develop. By incorporating the 3D Skin Rejuvenation system, Dr. Petti is able to create a three-tiered approach to a range of skin conditions that may develop. 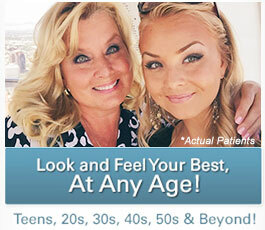 With these state-of-the-art skin treatments, Dr. Petti can help you achieve the healthy glowing skin you desire. While the LimeLight Facial Photo Genesis technique helps Dr. Petti address skin issues that arise on the surface level such as redness, mottled complexions, freckles, or sun damage, Laser Genesis Skin Therapy softens fine lines and wrinkles and shrinks pores while aiding in the production of new collagen. To further support the new growth of collagen created by Laser Genesis Skin Therapy, the Titan™ system also treats aging or lax skin by creating a tightening effect in the treated areas. While most laser systems treat only one or two aging conditions, only 3D Skin Rejuvenation addresses and reduces all of the most common conditions associated with aging. 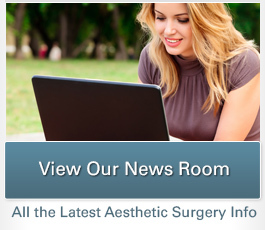 Contact Dr. Petti and the Palos Verdes Plastic Surgery Medical Center to schedule a consultation today.